Rep. Ilhan Omar, a freshman Minnesota Democrat whose criticisms of Israel have opened a divisive debate with the party, called her foreign policy vision in a Washington Post op-ed “inclusive,” supporting a “peaceful two-state solution” to the Israeli-Palestinian conflict. Omar, a Somali refugee and one of the first two Muslim women in Congress, wrote that the US must value human rights equally among “our friends and our enemies” and reject the “blind eye to repression” in Saudi Arabia. 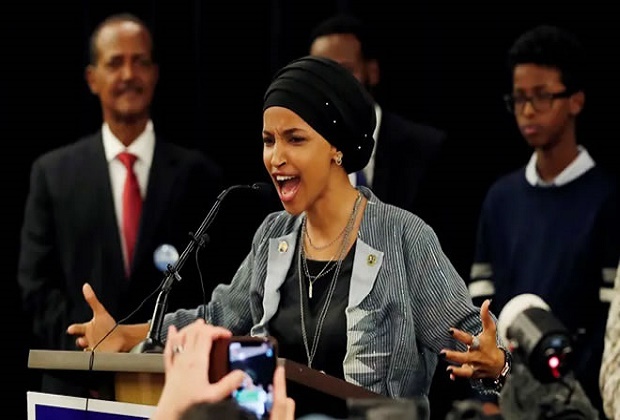 A couple days before the resolution passed, Rep. Dean Phillips, a Jewish Democrat, told Omar in a private meeting with about a dozen Jewish and Muslim House Democrats that she should apologize and that Democrats should affirm Israel’s right to exist and protect itself, according to The Washington Post. Rep. Rashida Tlaib, a Michigan Democrat and Palestinian American, reportedly began to cry when she discussed her grandmother’s suffering in the West Bank. “Violence will not bring us any closer to that day,” she wrote.